Many people considering bankruptcy already support elderly parents, whether they reside in this country or another country. These people often fear that the bankruptcy court will not permit them to continue to do so, or that expenses for their parents would not be considered as legitimate expenses. Good news. 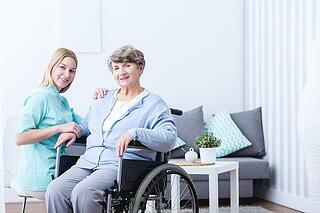 Bankruptcy courts allow you to care for your parents. If you have been providing support to your parents and you can show that your parents live on minimal amounts such as Social Security benefits only, and can further show your parents' expenses, you will be allowed to continue to pay reasonable expenses that are necessary for the care of your parents. For example, in the case of John and Susan Clingman, reported at 400 B.R. 555 (Bankr. S.D. TX 2009), the bankruptcy court held that payment of elderly parents' mortgage was reasonable and necessary for their care and support. This should comfort the many people supporting elderly parents, whether in the United States or otherwise, who need a fresh start from bankruptcy. If you need bankruptcy help, contact a consumer debt lawyer at Scura, Wigfield, Heyer & Stevens, LLP for a free bankruptcy consultation today.